The EPA is seeking public input on the new administrations approach to environmental regulations. They are required to seek public input. They are required to respond to public input. Go tell them how you feel. Public comments close May 15. Here’s the docket with instructions on how to comment: Evaluation of Existing Regulations. Titanic Tourism. Like this article: To Visit Titanic Firsthand, New York Banker Dives Deep Into Wallet. I have thoughts. Oh so many thoughts. Deep-sea mining meets alternative energy: Renewables’ deep-sea mining conundrum. I once calculated that all the copper in Solwara 1 could make 800 1-megawatt wind turbines [note: I am not good at math]. Two really cool expeditions coming out of Louisiana this year: Exploring Changes on the Gulf Coast and Ecology of Shallow Wood Falls. Neat! Begun, the crab wars have. Svalbard’s Snow Crabs: a Pincered Proxy for Arctic Oil. A wonderful piece on field notes and what they mean to past a future fisheries biologists from our friends at the Fisheries Blog. A tiny Iowa paper just won a Pulitzer Prize for tackling farm pollution. This mouse roars. Farm-raised superbugs find their way into kids’ noses somehow. This is fine. Every thing is fine. Follow #2017MMM, March Mammal Madness, and read my story about it from American Scientist. The fish that hunts with flashlights embedded in its face. By Jason Bittel, for Hakai Magazine. 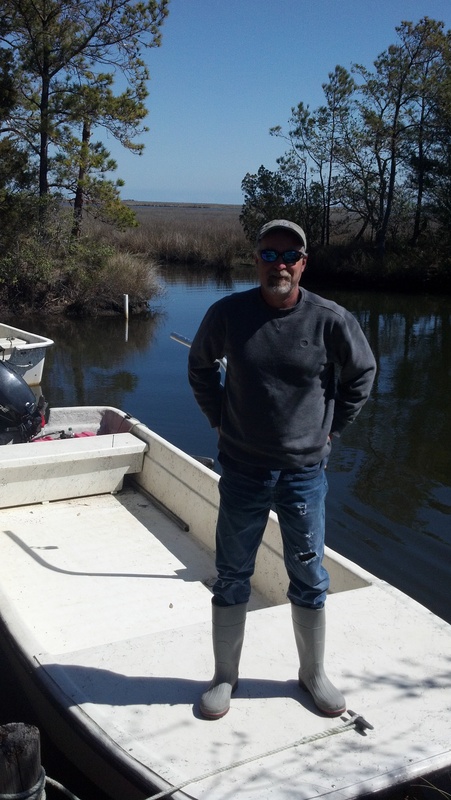 Though oyster mariculture isn’t new to places like the Chesapeake Bay, Jay Styron’s Carolina Mariculture Company, based in Cedar Island, NC, is a shining vision of the future in North Carolina. Much of the state’s efforts in aquaculture are directed at tilapia, catfish, and hybrid striped bass, which are grown in ponds on traditional farm land. These are often grown as a means of diversifying an existing farm economy. Mariculture, though, blends this type of aquaculture with commercial fishing to grow seafood in estuaries and inshore regions, creating a saltier crop. In many ways mariculture should be embraced by both farming and fishing communities but is often instead viewed as the strange uncle of the food production family. Enter pioneer Jay Styron, who grows oysters not only for food but also demonstration purposes – and he proudly creates delicious oysters.